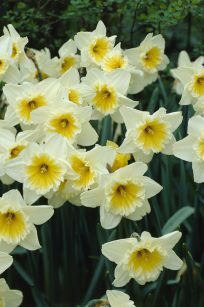 Bright and colorful in the traditional daffodil shape and size, our Large Cupped Daffodil Mix will satisfy the needs of every gardener. Use them in beds and borders, containers and tubs, and on lawns and hillsides for a naturalizing effect. 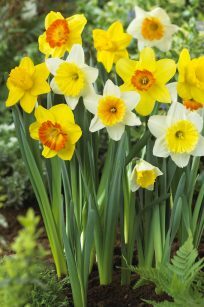 Every daffodil color imaginable may be found, including white and varying shades of yellow, orange, and pink. Some may even change color as the flowers mature. When left undisturbed, they’ll come back year after year to everyone’s delight. Cut a few and bring them indoors to add a touch of spring to the indoor landscape. 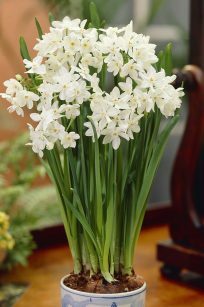 Perhaps the easiest to grow of all indoor bulbs, Paperwhites ‘Ziva’ continue to be perennial holiday favorites. 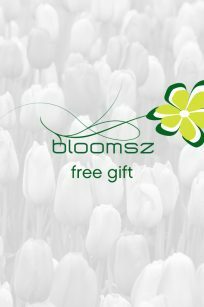 bloomsz now brings you a very affordable way to enjoy these all-time favorites with a 7-bulb pack of bloomsz Economy Paperwhites ‘Ziva’. 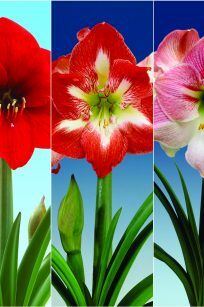 Dramatic and beautiful when planted and displayed in decorative, themed, or clear glass containers. Easy to plant and grow. Bloom 30-45 days after planting indoors. 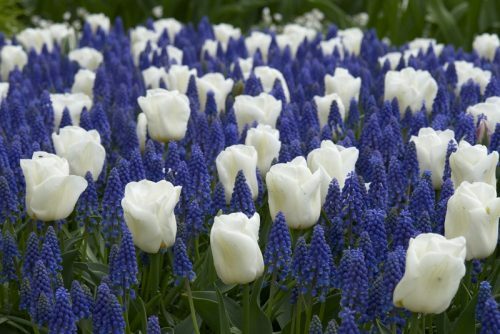 Planting tip: The clusters of flowers at the top of each stem sometimes tend to lean over as they grow. You may wish to stake the plants when they reach a height of 10-12″ to prevent them from toppling over as they grow to their full height.